Building companies over the long term is challenging but incredibly rewarding. There is truth to the statement I’ve heard many times “once you’re an entrepreneur it’s hard to do anything else.” Early stage is driven by pure passion and wearing many hats and moving toward early goals at the pace of light. As you start to see growth it requires a more methodical approach, broadening the team with specialist rockstars. If you are part of the team who created the spark, there comes a point where you might need gasoline. If you are the spark, you may have conceived novel ideas that only your experience could have created. But you might need additional leadership and experience on the team to nurture the business so that it evolves fast enough to see success. 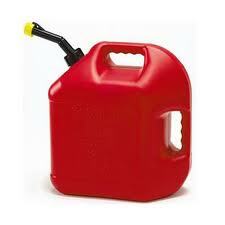 You need “gasoline” for the fire you started with the spark of your original thought. With it should come access, credibility, and complementary knowledge that gets you to your critical milestones faster. On the other hand, you may be involved in a venture to build upon ideas created by others. You are there to make them bigger, and execute them faster. You may need to preserve the purpose and passion created by the founder or founders while evolving the business in a new direction. You may bring novel ideas into the business based on your experiences that add great value to the enterprise. For both sides, it should feel natural. A key issue to be concerned about is how your culture is impacted. As new executives enter the leadership team they bring their culture too which should jive with yours. I’m not talking about where and how often you go to bars together. Your operational culture: how you communicate to each other, to employees, and the market. How decisions are made and how you handle stress. As you contemplate experienced hires, get opinions from those who have worked at a similar stage business with those executives. Hopefully with good diligence it will be a great fit and your fire will burn ever brighter.